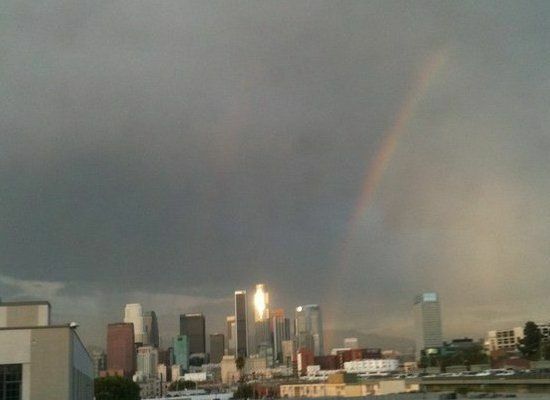 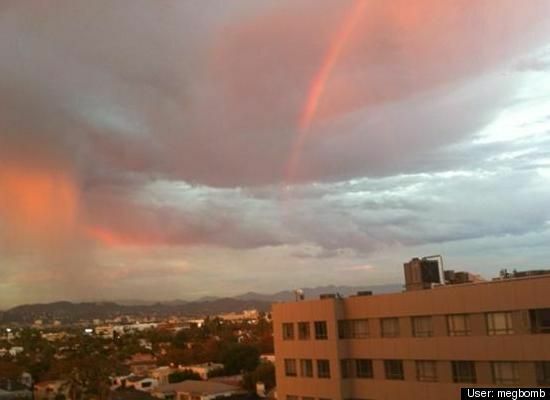 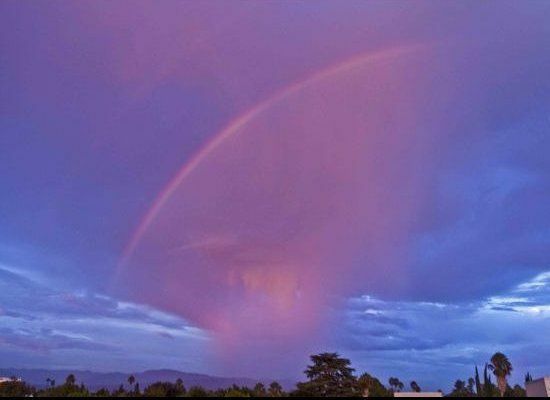 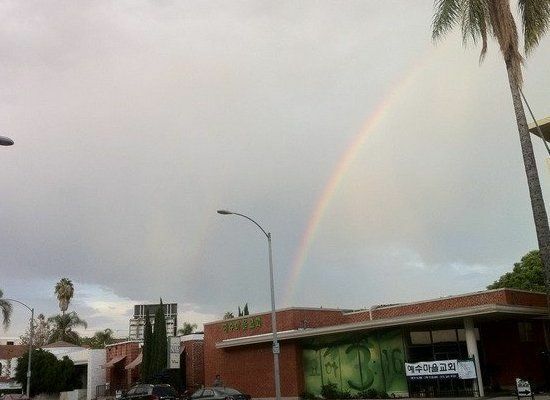 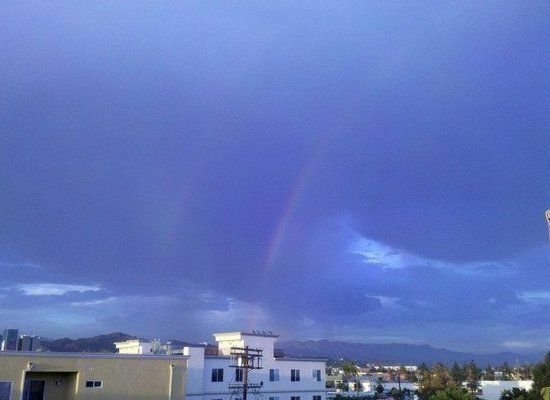 A Double Rainbow photographer Guy who has taken pictures real-life double rainbow lit up the Los Angeles area this evening — all the way across the sky, according to witnesses. 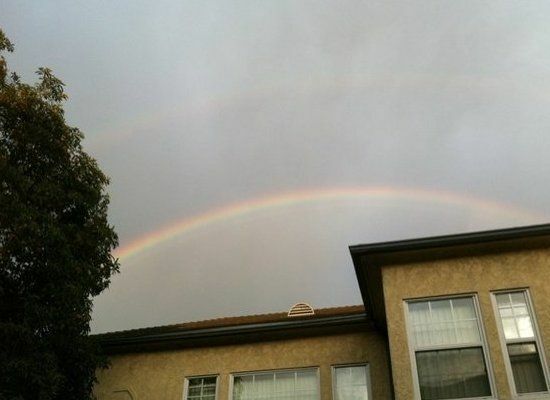 A Double rainbow is an optical and meteorological phenomenon that causes a spectrum of light to appear in the sky when the Sun shines on to droplets of moisture in the Earth’s atmosphere. 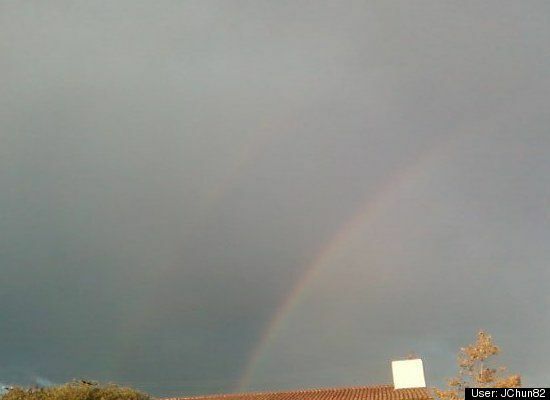 It takes the form of a multicoloured arc, with red on the outer part of the arc and violet on the inner section. 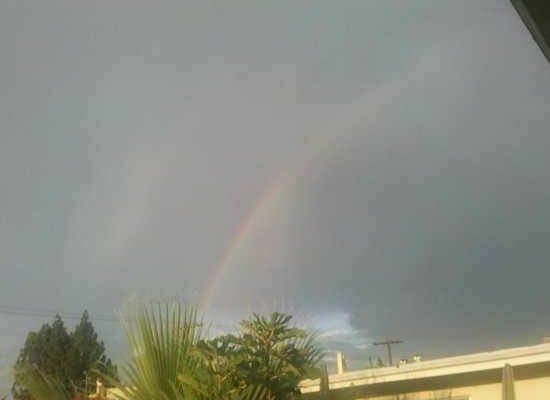 A rainbow spans a continuous spectrum of colours; the distinct bands are an artifact of human colour vision. 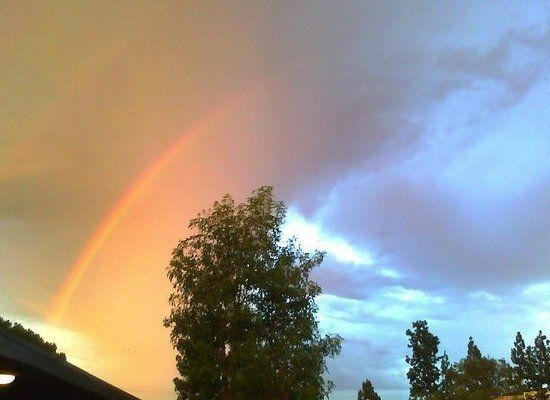 The most commonly cited and remembered sequence, in English, is Newton’s sevenfold red, orange, yellow, green, blue, indigo and violet (popularly memorized by mnemonics like Roy G. Biv). 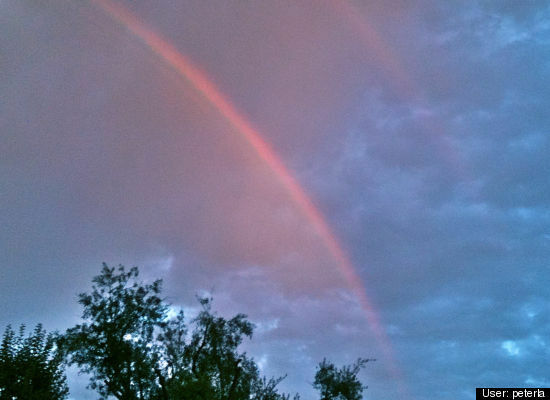 Rainbows can be caused by other forms of water than rain, including mist, spray, and dew. 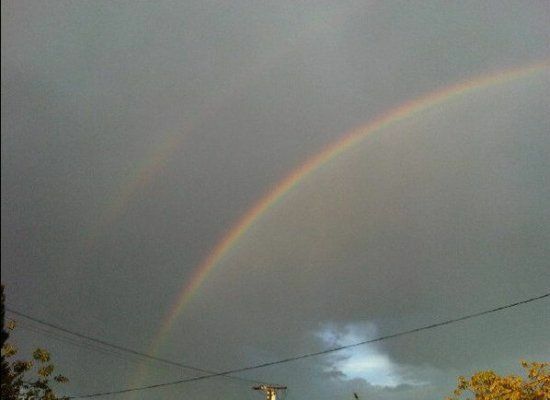 The Double Rainbow guy of Internet fame may soon have company on YouTube, as photos and videos of the sight are just beginning to surface. 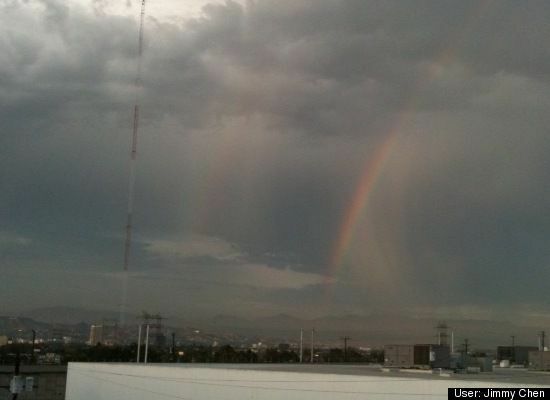 Here are Images of the phenomenon so far, thanks to Twitter. 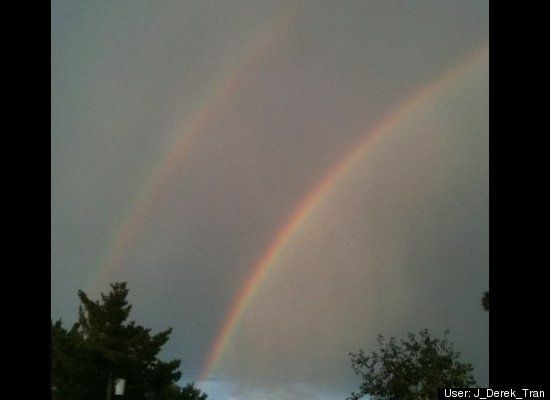 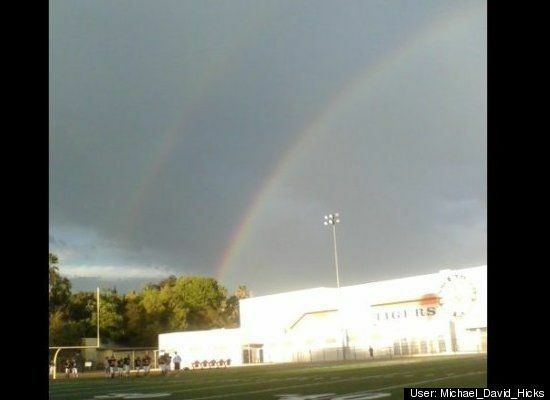 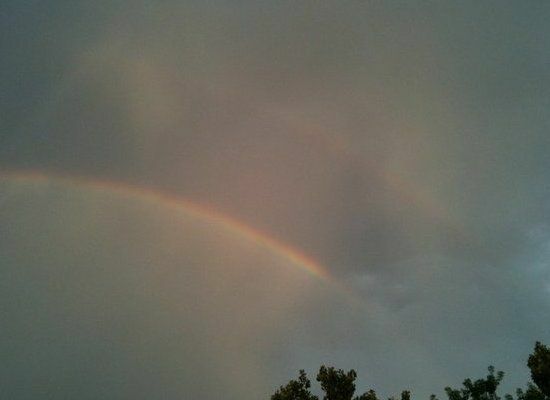 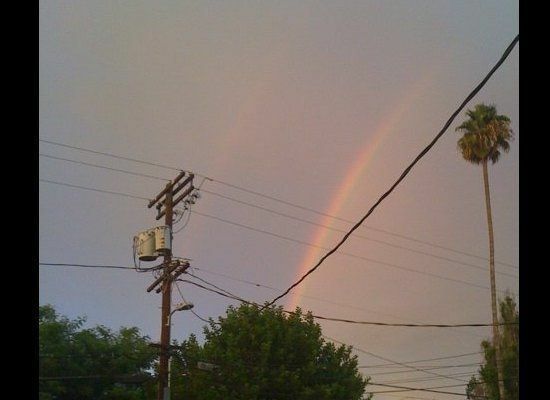 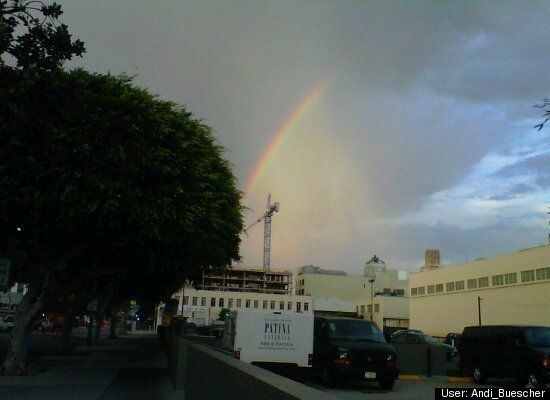 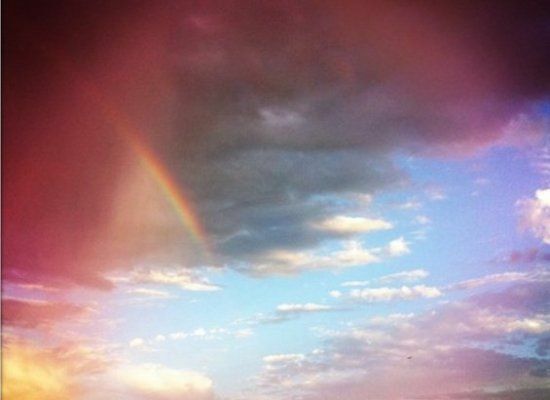 Share your own Double Rainbow photo or video and we’ll include it below!